it's been a long time since i released a fontstruction. today i felt like doing one again. it features smooth transitions from diagonals to roundings, notable on the S and Z.
Info: Created on 5th December 2009 . Last edited on 5th December 2009. Congratulations! FontStruct Staff have deemed your FontStruction worthy of special mention. 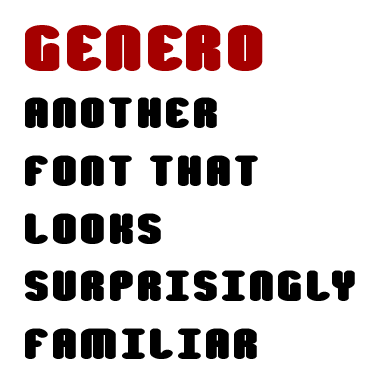 “genero” is now a Top Pick.